"I say yes to participating because I want to be informed. I want to learn more." As a professional educator, Lou* values lifelong learning. Now retired after 36 years as an elementary school Principal and education researcher, Lou understands the benefits of taking time to understand new topics. 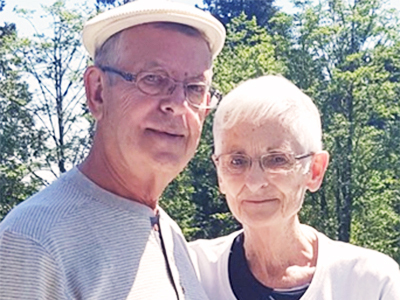 When he received a diagnosis of early-stage Lewy Body dementia, Lou and his wife Anne wanted to learn all they could about the disease. They attended seminars on dementia, and then signed up to be part of a long-term national study of the disease. They were also curious to learn more about the world of medical research. 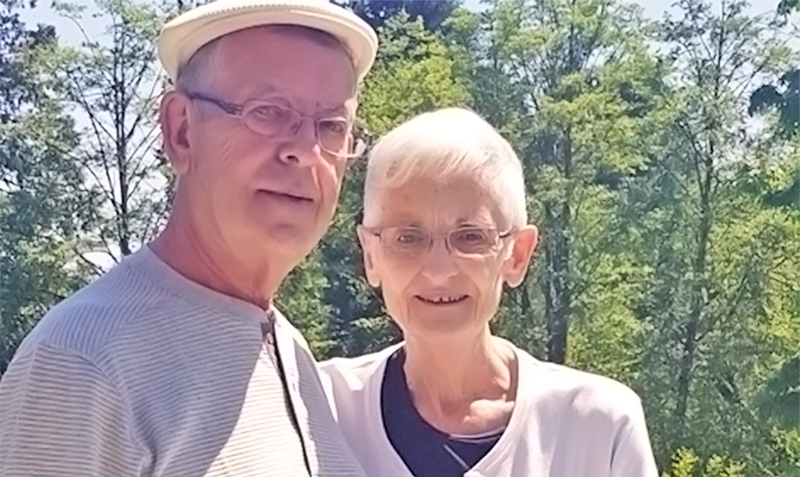 Lou underwent extensive testing at the beginning of the study (blood work, hearing and vision, MRIs, gait, smell, and neuropsychological exams) but once that was done, he and Anne now only have to do a phone call follow-up next year. If the study is funded for a longer term, there will be more testing in two years. Anne says while that first stage of the study was very busy for them, she and Lou feel it was definitely worth taking part. “For me, the more I know about my diagnosis, the better. I want to be better equipped for what lies ahead,” Lou says. Dr. Robin Hsiung, a neurologist and research scientist with Vancouver Coastal Health Research Institute, is leading the research for the Vancouver site of the national study. Dr. Hsiung says the study of 1,600 Canadians will have several cohorts of patients ranging from those with subjective cognitive impairment, which is when a patient reports a worsening of their thinking abilities that doesn’t show up on tests, to those with diagnosed disease such as Alzheimer’s or vascular dementia. 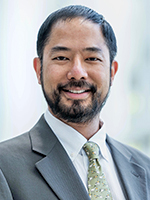 VCH neurologist and research scientist Dr. Robin Hsiung is also an associate professor in the Division of Neurology, Department of Medicine, University of British Columbia. Dr. Hsiung says the ultimate goal of the study is to be able to accurately predict who is at risk for dementia and then provide effective early intervention. “If we can identify, at an early stage, the people who are most likely to progress to a worsening of dementia, then we can select them for treatment before they become disabled. Many patients remain stable, so for them to undergo treatment that could have side effects is not necessary. But for others it can make their quality of life so much better.” Early diagnosis is crucial because the dementia treatments, even potential experimental ones, may only halt deterioration of brain function; they are unlikely to reverse it. Dementia affects about 560 000 Canadians. The annual cost of care is about $10 billion. Dr. Hsiung says it’s vital to find out more about this complex disease. “There are many types of dementia—Alzheimer’s, vascular dementia, frontotemporal dementia and so on, that can be hard to differentiate especially in the early phases. And we are now finding that many people actually have a combination of types.” Lewy Body dementia—which Lou has—is another sub-type, marked by Parkinson’s-like symptoms. Dr. Hsiung says having a large pool of imaging and biological samples available to dementia researchers nationwide is invaluable. The vast amount of data gathered from participants like Lou will help researchers tease out indicators and trends for dementia. In his own research at UBC, Dr. Hsiung and his colleagues look at genetic and imaging predictors for frontotemporal dementia. Genetics can play a role in some forms of dementia, such as early-onset Alzheimer’s, so that can be a motivating factor to partipate in research. Dr. Hsiung is very appreciative of the involvement of Lou and Anne and the other participants. “To be honest, with this study, the participant’s motivations are generally altruistic—to help scientists better understand the disease for future treatment improvement. There isn’t likely an immediate breakthrough. So we are extremely grateful.” But Dr. Hsiung says as with most studies, participants do get access to more rigorous testing of their general health. That testing sometimes uncovers conditions that can be treated sooner than they might have been otherwise. Lou and Anne will do their first phone check-in next year. For now, they are just getting on with their lives, and enjoying their family. Lou is an avid reader who also loves playing guitar. This dementia study is recruiting volunteers, learn more on the study page. *Last name withheld to protect patient anonymity. THIS IS ONE PATIENT’S STORY OF PARTICIPATING IN A CLINICAL TRIAL. YOUR EXPERIENCE MAY DIFFER. LEARN MORE ABOUT CLINICAL TRIALS BEFORE PARTICIPATING.